Then there are the savvy showmen, the exploiters few short of a scruple, and manipulators keen on lining pockets. The animal kingdom, for such types, is entertainment, much in the way that the automobile world is there for a figure such as Jeremy Clarkson. Awareness of the existence of animals – their importance, their relevance – is drummed up by means of display and provocation. The more dangerous, in a sense, the better, for here, humankind can be shown to be jousting with crocodile, stingray and lion. Humankind can return to savage roots, confronting other species in gladiatorial encounters with a film crew and an extensive promotion strategy. This is bullfighting, with a conservationist twist. This assertion is not far-fetched; in 2004, the showman introduced his one-month-old son in what was promoted as “Bob’s Croc Feeding Debut” to a crocodile at feeding time, real fun for the family. While apologising for his actions in the face of strident protest, Irwin’s rather particular view on animal advertising came through. He had, for one, been professional in keeping “a safe working distance with that crocodile when that took place”. He would also have been “a bad parent if I didn’t teach my children to be crocodile savvy because they live here – they live in crocodile territory.” Responsible, indeed. One was fellow Australian, herself a superstar of sorts, Germaine Greer. Greer reproached Irwin for not having “a healthy respect for stingrays, which are actually commoner, and bigger, in southern waters than they are near Port Douglas.” Irwin never seemed to comprehend the vital fact “that animals need space.” No habitat was sacred to Irwin’s celebrity predations; creatures “he brandished at the camera” were distressed. Left in such vulnerable situations, their options were limited: succumb or strike. This did not sit well in the Twittersphere and other social media outlets where outrage, not debate, characterise arguments. Unsurprisingly, Irwin’s methods are irrelevant to the persona of challenging, sporting buffoon. He entertained, and did so well; that was what counted. His cheer squad ranged across the fields of entertainment and sport, fitting given the same fold he came from. Baseball writer Dan Clark scolded PETA for not accepting the premise that Irwin had “saved the lives of countless of animals in his sanctuaries”, “loved animals and cared for them greatly.” Love, and shoddy pedagogy are clearly variable things. PETA might be called out for some of its more shonky and inconsistent protests when it comes to the world of animal ethics, but in the scheme of things, their notes of protest were valid. Irwin was, first and foremost, a man of business, a rumbling combination of yahoo, entrepreneur and Tarzan. That business might well have involved an element of conservation, but this was ancillary to the man, to his yob image, a person made wealthy on the fate and good deal of harassing, to use PETA’s term, deadly members of the animal kingdom. For that, he paid the ultimate price. A great article Binoy that raises some extremely valid points re conservation v exploitation of animals. 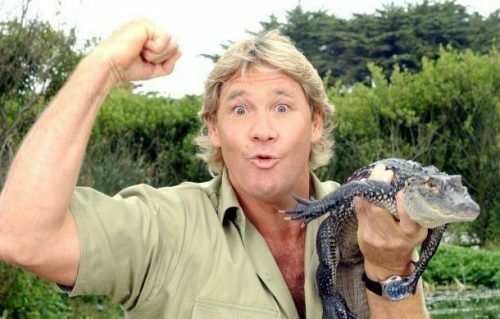 It makes me realise how far we have come since Steve Irwin’s death. His form of ‘showmanship’ would not be accepted by the massive animal welfare and animal rights movement that exists today, largely through the awareness enabled by social media. David Attenborough was one of the first ‘celebrity’ conservationists, particularly of the animal world, and he has always treated nature with respect. Thank you for your thoughtful article which I will share .